Film enthusiasts look forward to the Cannes Film Festival every May and this year’s participation of the long-awaited animation movie “Bilal” will be of interest and pride for filmmakers and animation movies admirers in the Middle East and beyond. “Bilal” the epic and inspiring movie aroused interest after the producer and film director Ayman Tariq Jamal revealed his innovative idea of an animation movie motivated by the story of a real inspirational hero who appeals to all generations, a different path from most animated movies that rely on fictional heroes. The film offers lessons on humanity, timeless faith, hope and self-discovery in a story inspired by the life of the great Bilal Ibn Rabah, a companion of the Prophet Muhammad (peace be upon him). A slave who converted Islam, Bilal lived in the Arabian Peninsula and faced great injustice and tyranny but then became the most prominent figure in Islamic history to call for justice and equality. 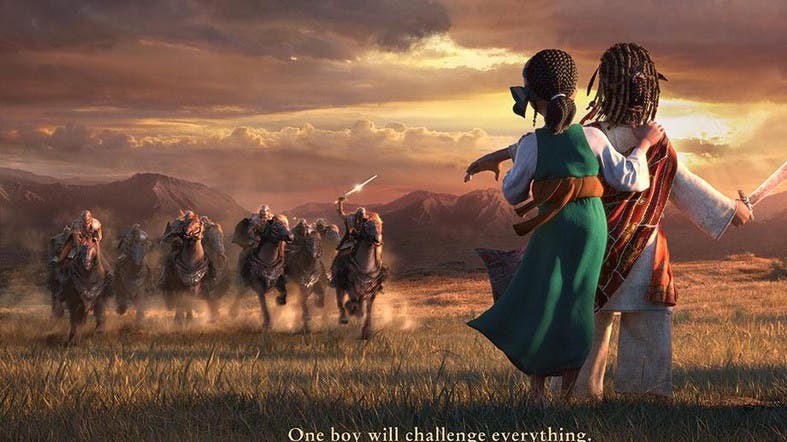 In the movie, Bilal, a 7-year-old boy, finds himself with his sister under the tyranny of slavery; he bears many burdens of life in his childhood from which he discovers inner strength he did not know he possessed. Bilal knew from the bottom of his heart that he must be brave enough to raise his voice and choose his own path, and that everything is possible with faith. His faith was able to undo his handcuffs and set him free. The Dubai-based leading animation and visual effects studio Barajoun Entertainment produced the movie over more than three years on a $30 million budget. The film was made with high-end professionalism and using the best techniques by a crew of award-wining artists and technicians. In total, 327 industry-best professionals contributed to the movie’s production in addition to a league of Hollywood stars in voice performance. “We are glad to have a league of the best talents and actors in the world contributing to our film. As a new animation company we are fully aware that we have to bypass a lot of obstacles to prove our capabilities in this area. Choosing the most talented actors who are able to perform voices for complex and multidimensional figures has contributed to our success to re-imagine this historical epic that although the story took place in the past but the biography of great Bilal is still vibrant of life and moralities to this day, and should be emulated by every person at anytime and anywhere. The challenge was to bring that hero to life through self-confidence and perseverance to the new generation,” said Ayman Jamal. “Bilal” is viewed by many to be the birth of global film making in the Middle East. Cannes may be a magnet for paparazzi and A-list Hollywood celebrities, but its prime purpose is to serve as one of the most prestigious platforms to showcase new films and to promote the world’s most promising up-and-coming directors, producers, and screenwriters. The nomination of ‘Bilal’ to premiere at Animation Day in Cannes is a considerable milestone in the MENA region film making industry. This article first appeared in the Saudi Gazette on Apr. 11, 2016.